John Binham at the British newspaper the Telegraph offers a piece on Anthony Horowitz, the author of the new James Bond continuation novel, on how the recent Bond films have portrayed 007 as weak. For more than 50 years, James Bond films have been feted as the ultimate action movies, with ever more spectacular special effects, sinister villains and an endless stream of glamourous love interests. But, according to the author officially anointed as successor to 007’s creator Ian Fleming, modern James Bond films have lost their way because they make the fictional secret agent appear too soft. 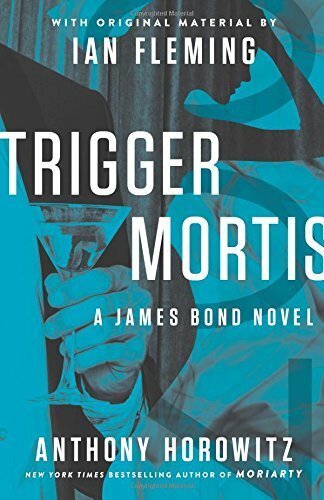 Anthony Horowitz, who was chosen by the Fleming estate to write the latest James Bond novel, Trigger Mortis, said Skyfall – the first Bond film to smash through the $1 billion mark in global box office takings – just makes him “angry” because of the way it portrays 0007 as “weak”. And he voiced dismay at signs that the upcoming film Spectre will delve into Bond’s “doubts” and “insecurities” instead of concentrating on defeating villains.